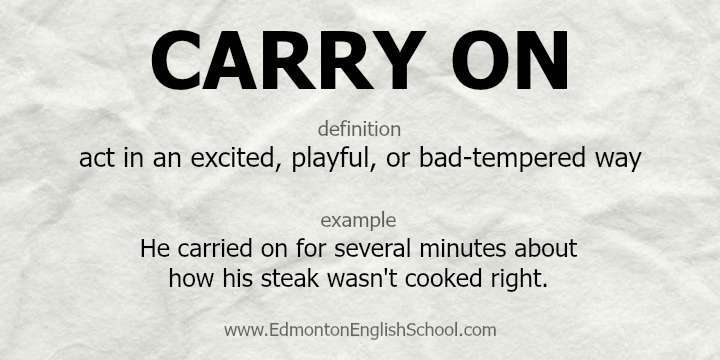 What is the Meaning of CARRY ON? The children really like to carry on when they have a substitute teacher. When she starts carrying on about politics, I leave the room. She is very angry that the party she voted for didn’t get in. I didn’t mean to stop your work. Carry on. She walked up but then never said anything, so we just carried on.